Do you love LEGO as much as we do? 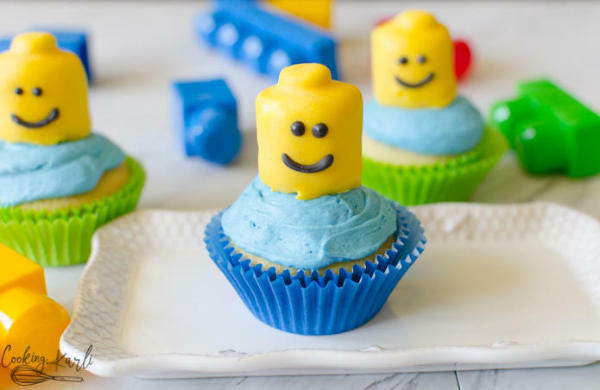 If so you simply have to make these LEGO cupcakes. They will make any LEGO fan happy! One thing I like about cupcakes is that they are so easy to make. 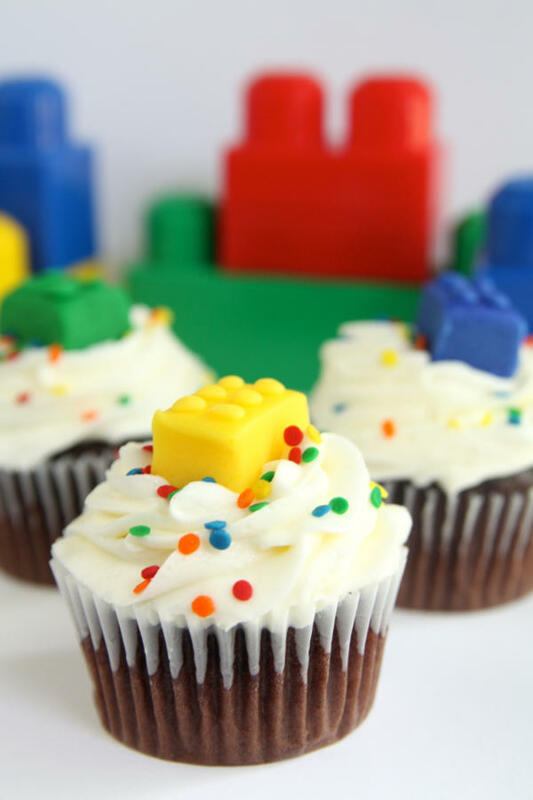 Since we are big LEGO fans, I went searching for the best LEGO cupcakes. I had seen some pretty neat cupcakes while on Pinterest a while back, but boy did they look complicated. I didn’t want that. I wanted something that was neat but still easy to bake and decorate. It took some research but I found just what I wanted and hopefully this will help you out as well. We enjoy fun food and these are pretty darn fun if I do say so myself. This post may contain affiliate links which means I may receive a small amount, at no cost to you, if you make a purchase through a link. All opinions are my own and I share things I think would be of interest to boys. No need to go to a bakery to get cute cupcakes. These are great and you can make them at home. All of the cupcakes I found are totally do-able. 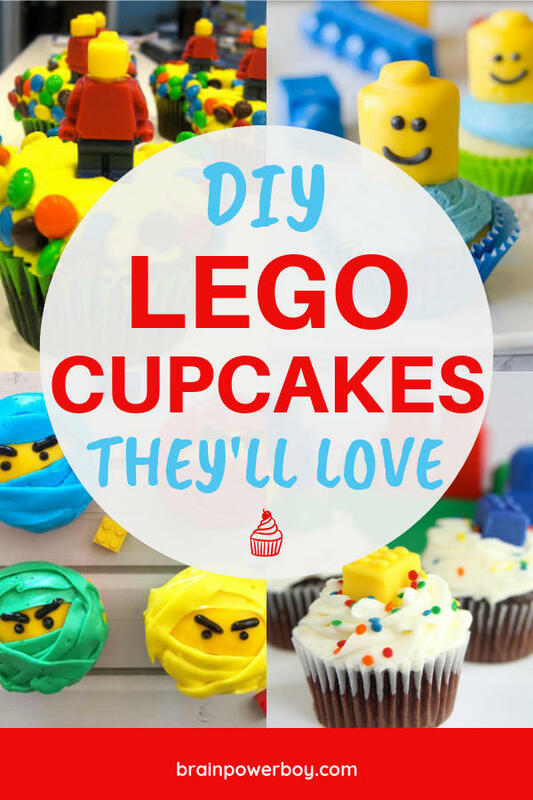 Either use your favorite cupcake recipe or use the ones shared here. 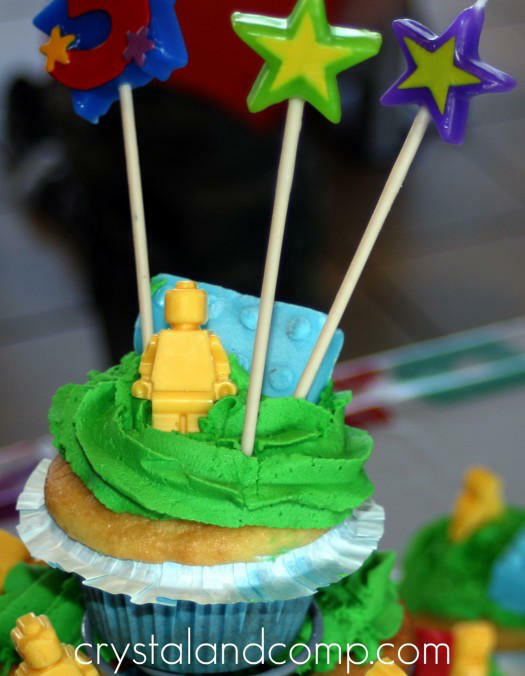 And, if you are in a hurry and really would rather grab some bakery cupcakes, you can decorate them using these ideas. The only thing that will be hard is choosing which ones you want to make! 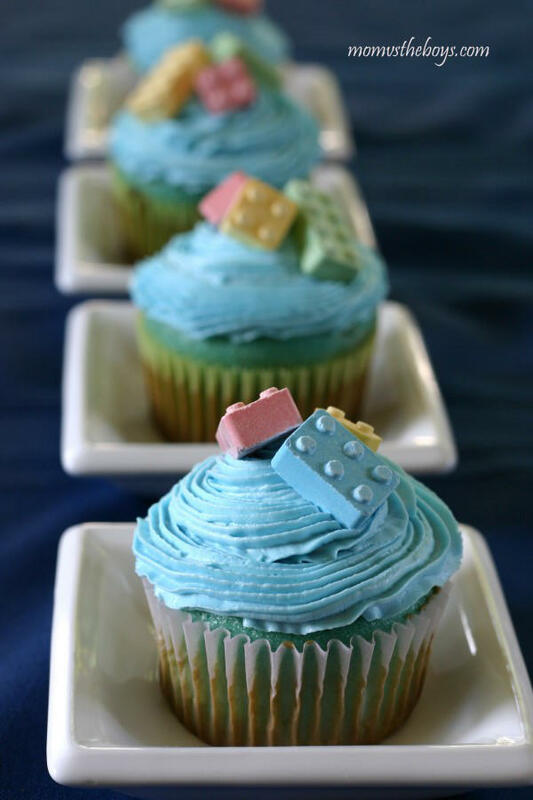 These cute little LEGO bricks were made of fondant. It is super easy too. I like how they look and you can make the bricks in any color you want. Fondant is edible, however, some do not think it tastes that great so you will have to see what you think. Either way you can still decorate anything with fondant and let people decide if they want to eat it or not. I love chocolate. All types! 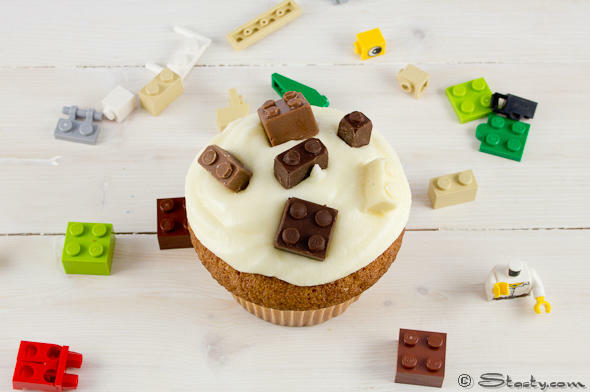 So when I saw this LEGO cupcake with chocolate bricks, I thought it was a great idea. She used milk chocolate, dark chocolate and white chocolate to make the bricks. Yum! This is a very easy option. 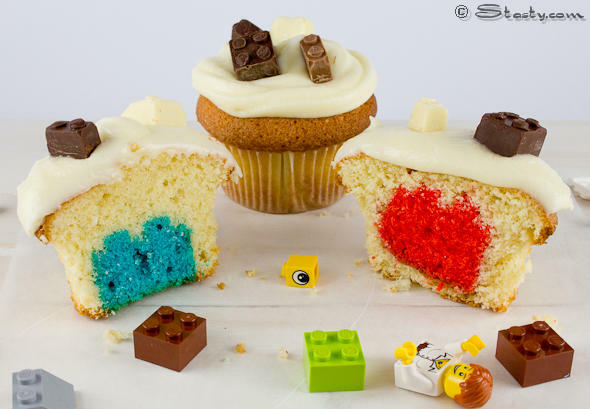 She simply put LEGO candy on top of the cupcakes and called it good. 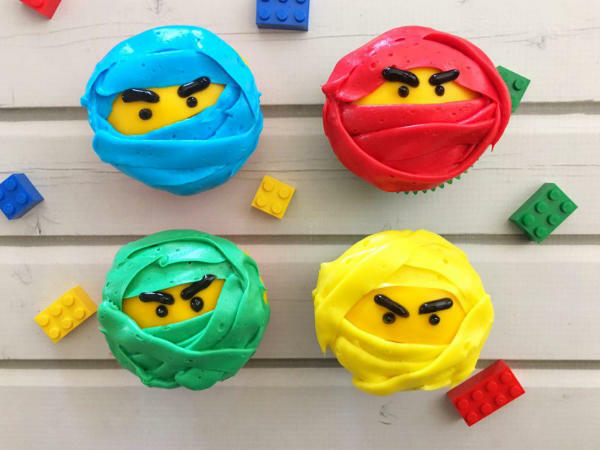 If your boy is a Ninjago fan, then these are the ones you should make. Don’t worry either, because they are not hard at all. They are pretty impressive looking though! My friend Crystal has a cute idea! 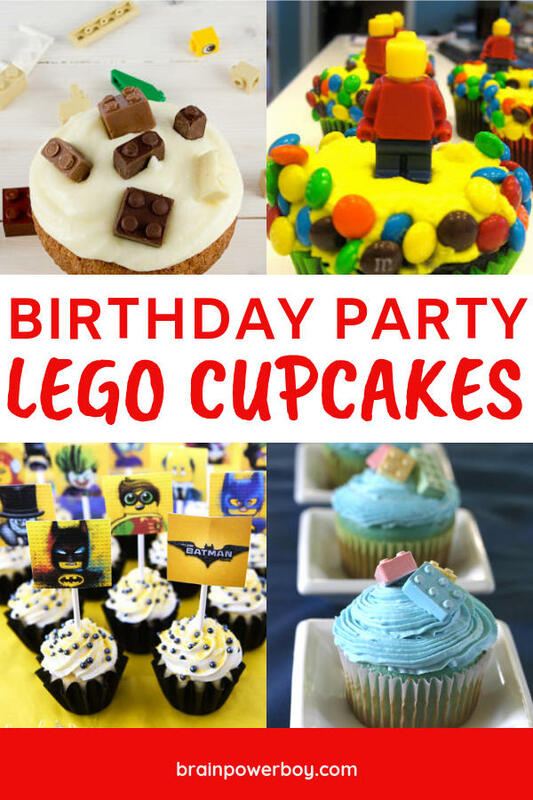 She used LEGO minifigure candy to top her LEGO birthday party cupcakes and they turned out fabulous. What fun! 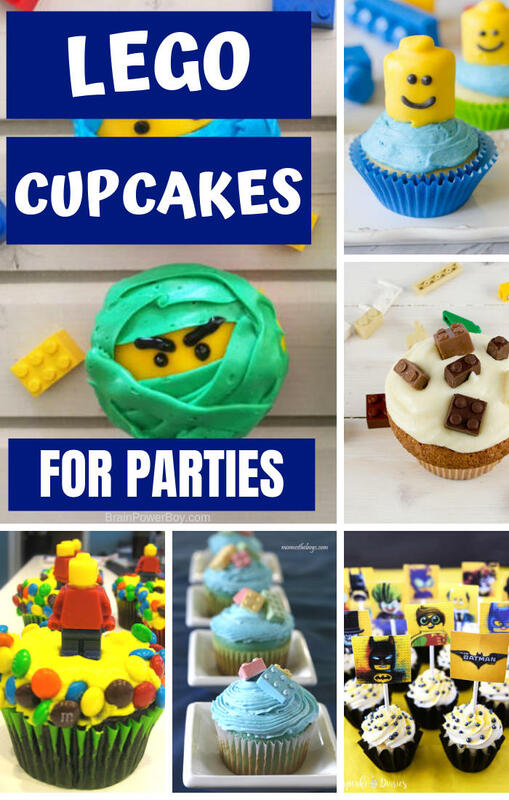 If you are looking for a different minifigure cupcake idea, try these. They are easier than they look. 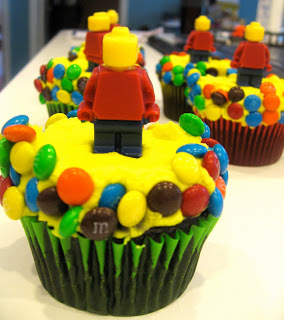 Using LEGO different colored candy melts she make the minifigure candy look great. You could choose whatever colors go with the rest of your decorations. 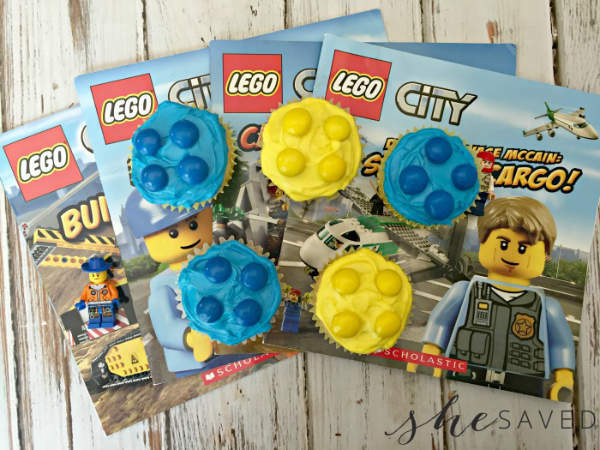 Fans of all things LEGO Batman will love these and so will moms who need something super quick and easy. 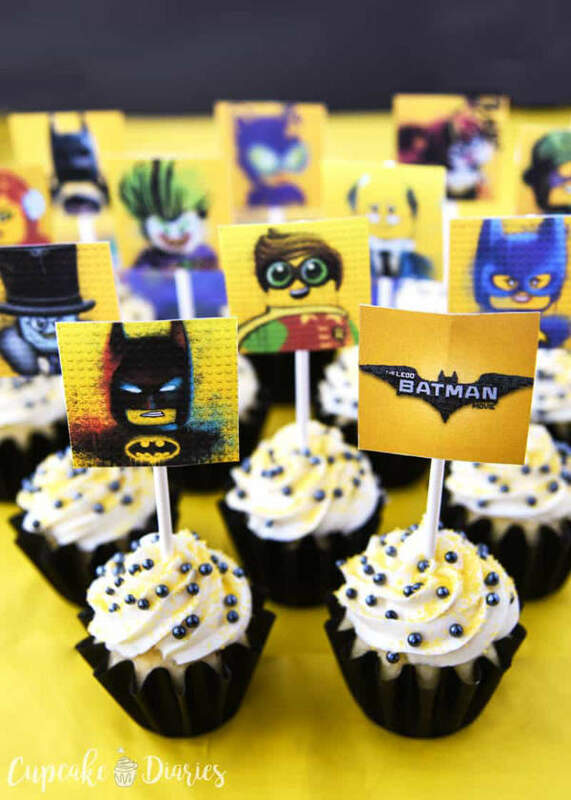 Make or buy cupcakes, print these toppers and stick them on the cakes. Yes, it is that easy.